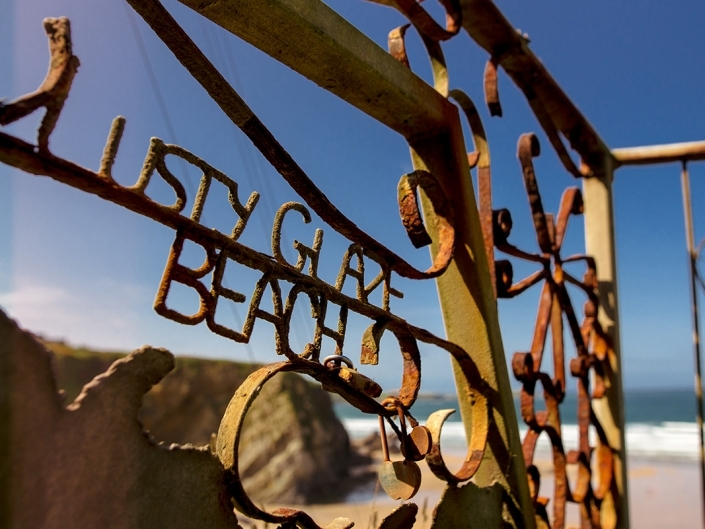 Lusty Glaze Beach, the perfect setting for a romantic beach wedding! There are so many top-notch wedding venues to choose from when you’re planning to get hitched in Cornwall. 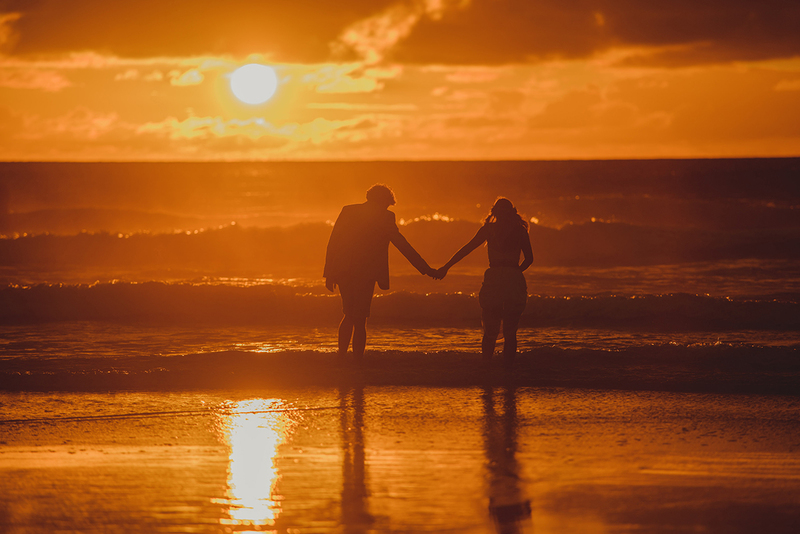 But if you’re the romantic type, then let’s be honest, Lusty Glaze in Newquay is a wedding venue you’re not going to want to miss. 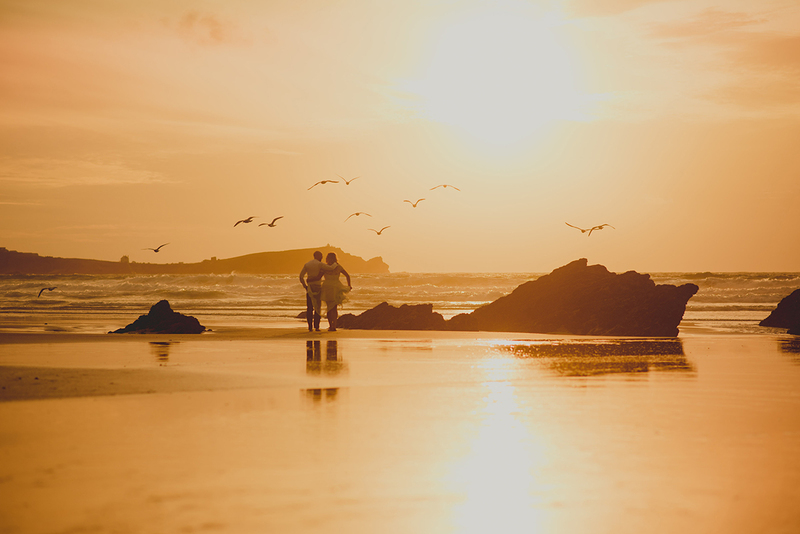 Lusty Glaze Beach boasts seriously breath-taking sunsets and stunning cinematic vistas – a wedding photographer’s dream. The incredible sparkling sea views are the perfect backdrop to any couple’s special day. And I haven’t even told you the best part yet. That’s right. 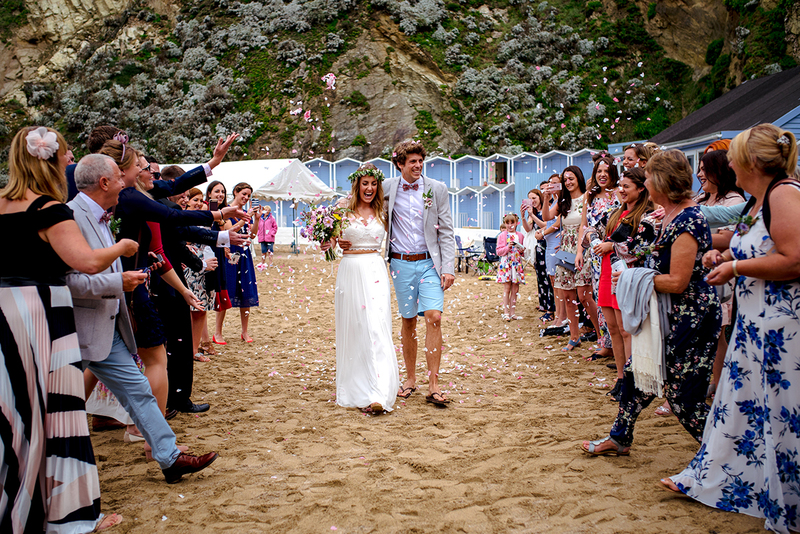 Lusty Glaze is actually the only place in Cornwall where you can hold your wedding ceremony on the beach. That could be the deal breaker for you. 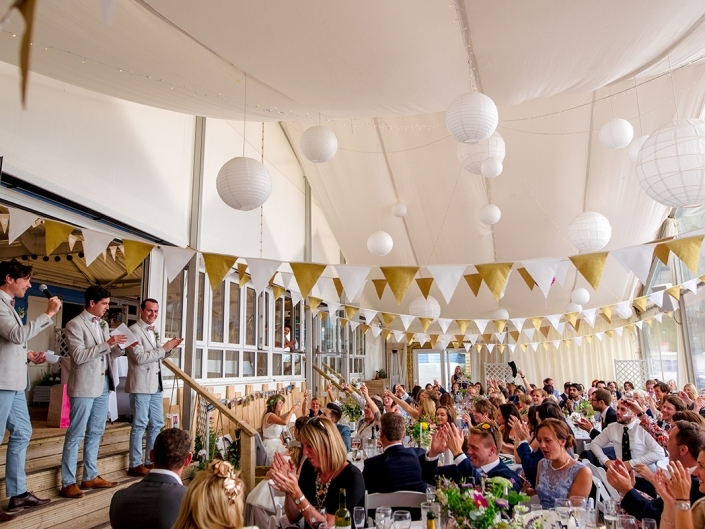 The couples who choose this wedding venue have the chance of a pretty spectacular Cornish location for the beach wedding they’ve always wanted. You get the natural rocks, the sand beneath your feet, that refreshing sea breeze, and with the waves crashing and the big Cornish skies… No contest. 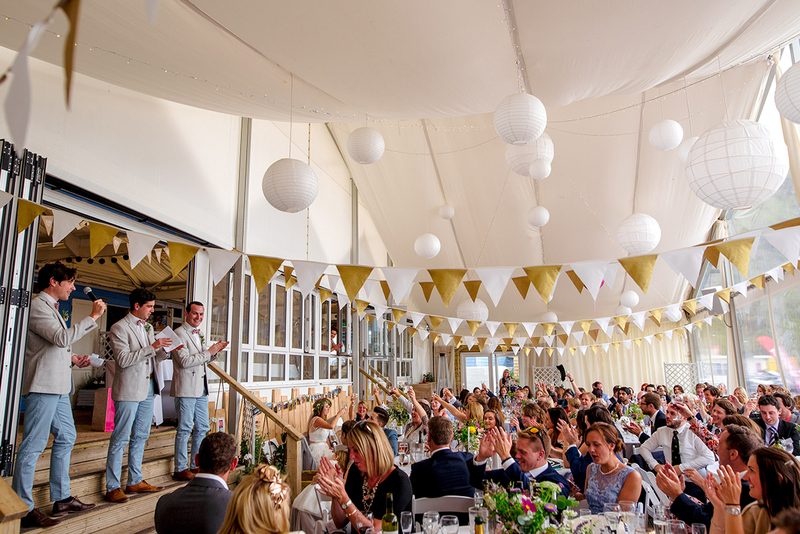 If you and your partner love the seaside there’s just nowhere else to match this outstanding Newquay wedding venue, in my opinion. 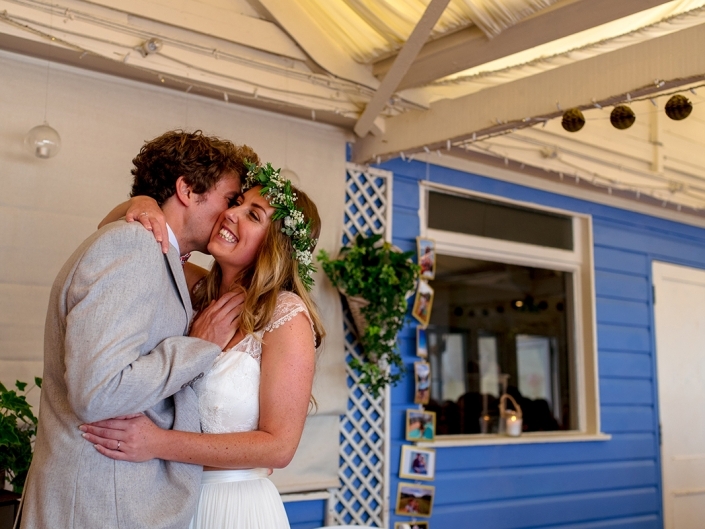 The bar and restaurant at Lusty Glaze Beach offers your wedding guests a wonderful sea view in all weathers. And with accommodation available nearby, even those guests who have travelled a fair distance to see you tie the knot will have a convenient and welcoming place to stay. Lusty Glaze has a cottage and chalet for self-catering, where guests can enjoy the sounds of the waves in the evening as they unwind. Fairy lights, candles and your wildest imagination will all help to create the personalised and laid back feel you’re looking for. 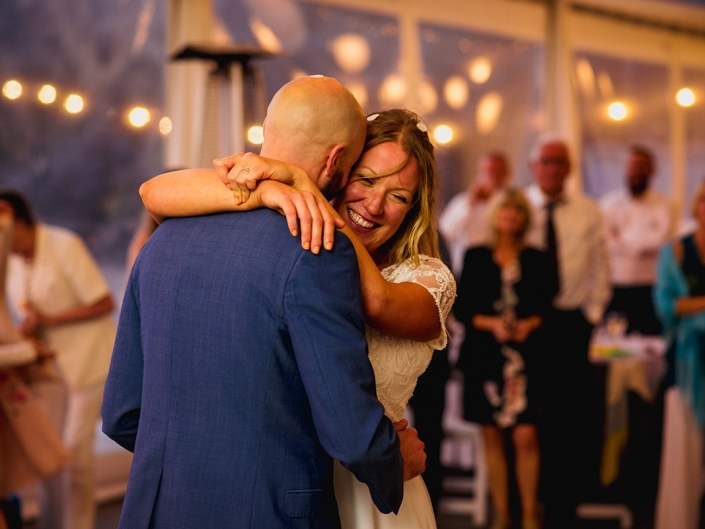 And the on-site team of wedding coordinators at Lusty Glaze know the ingredients for perfect Cornwall weddings. You’ll be really well looked after. 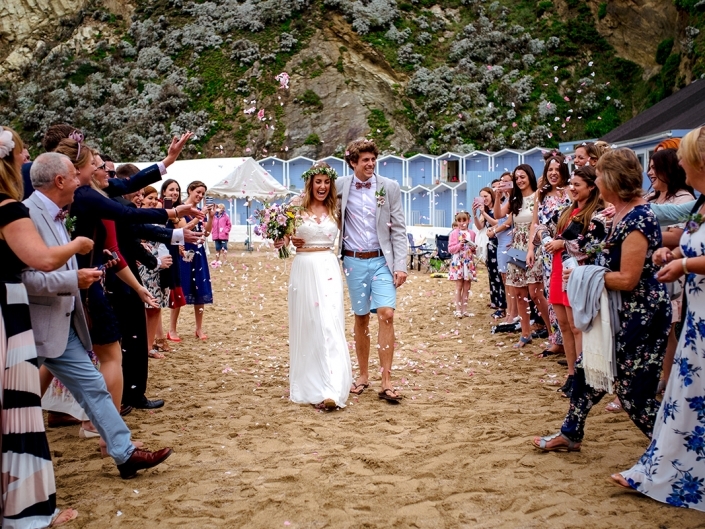 Not just for summer – how about Lusty Glaze as your magical winter wedding venue? 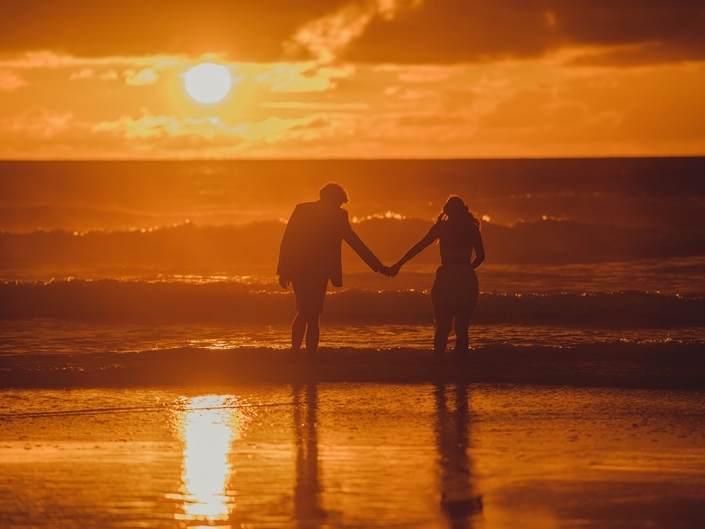 If a beach wedding sounds to you like something you’d have to save for the hot summer sun in the middle of July or August, then think again. The Cornish skies can be relied on to bring the drama the whole year round, and in winter you get the special treat of incredible sights and sounds – like strong and powerful crashing ocean tides. Lusty Glaze has its own unique and impressive private horseshoe cove that is sheltered and has a beautifully romantic feel, especially when the owners light it up for you especially, with storm lanterns and candles providing maximum ambience. It’s not always a private location, but off season, there are far fewer tourists around in the local area. That means you’ll have a quieter and exquisitely personal setting for your wedding day. Good times and memories that you’ll always treasure! 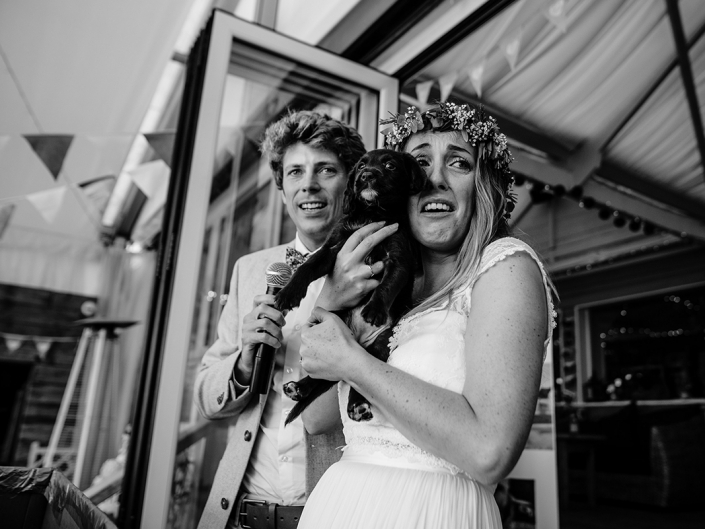 I’ve had the great privilege of doing wedding photography several times now at Lusty Glaze, and I can tell you there’s not much that can beat it. It’s just one of those awesome wedding venues that you always want to tell people about afterwards. Local wedding photographers always enjoy working here, and I’m no exception. As a unique beach wedding location, it feels extra special for that once in a lifetime photo-shoot. It’s always a joy to capture the natural scenery and the fairy-tale atmosphere here. Danny and Lucy loved Lusty Glaze for the sheer romance of the beach setting on their wedding day. I often take couples to the beach for a few shots in Cornish weddings, but rarely do I get a chance to photograph the actual ceremony on the sand. It was such a pleasure to be asked to provide their wedding photos. And when I was invited to photograph Katie and Kevin on their big day at Lusty Glaze, I had so many choices for dramatic backdrops and romantic spaces, it was extremely fun and really satisfying for me as a wedding photographer. I love my job! Anyway. You won’t want to miss a visit to this location if you’re considering a beach wedding, so here are the contact details, and I recommend you go and take a look yourself. 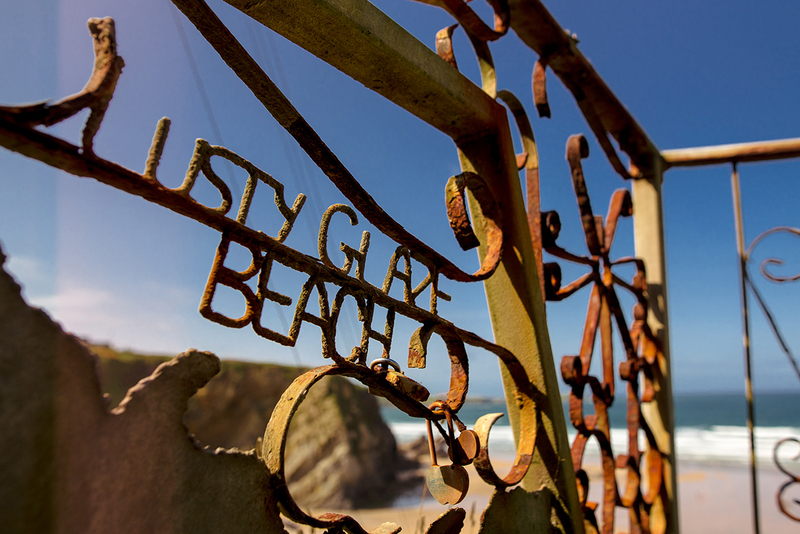 Of course, you can also find Lusty Glaze online by visiting their social media profiles on Facebook and Twitter. Thank you so much for thinking of Lusty Glaze. We love you down here and adore your work! What has been your most memorable wedding at Lusty Glaze, and why? All of our weddings are completely different, and we have so many lovely couples marry here from all over the world. There are many magical moments from each wedding. 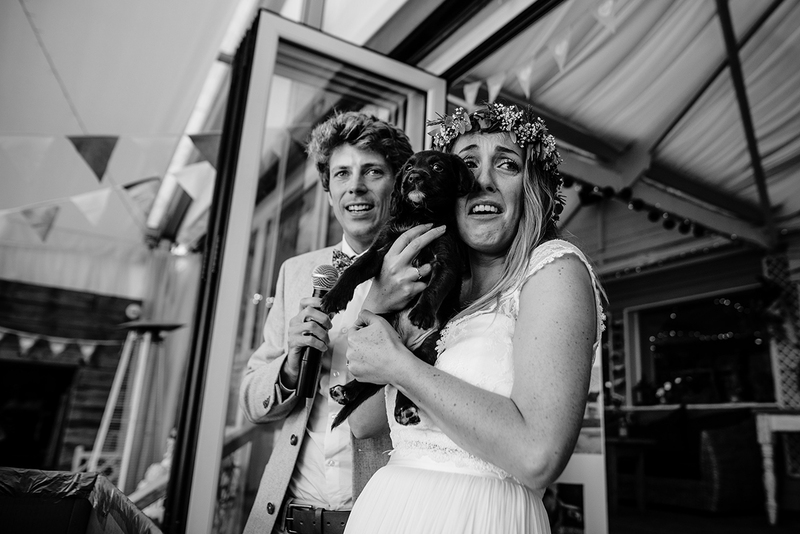 Last year Danny surprised his beautiful wife Lucy with a puppy in his speech. They were such lovely, laid back couple and their guests were so much fun (plus they experienced an amazing Lusty Glaze sunset). Why do you think people should choose Lusty Glaze as their wedding venue? You should choose the venue that suits you and your vision for your day. 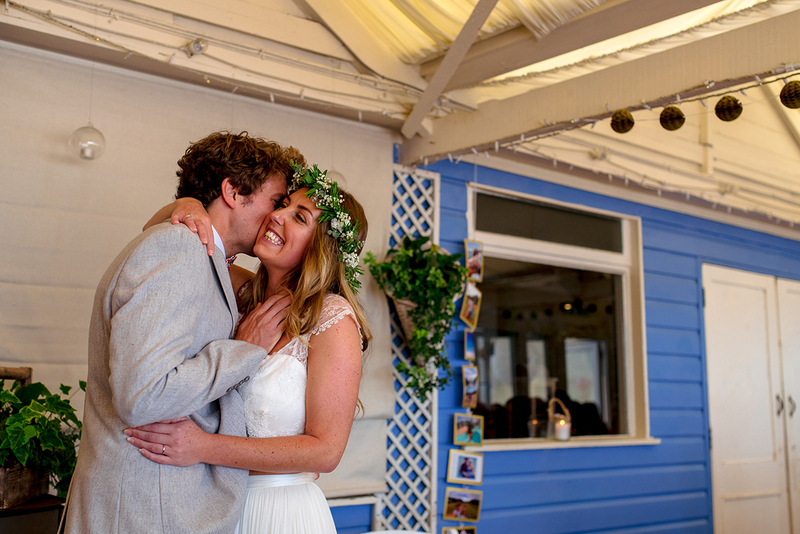 Here at Lusty Glaze our venue offers a relaxed and informal wedding day. If you wish to be on the beach with sand in your toes and salt in your hair we are the perfect venue for you. 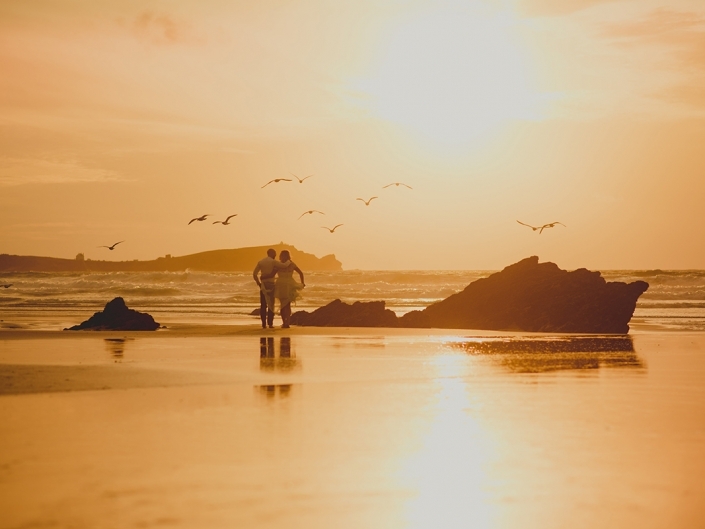 What tips would you give to potential couples looking to book a wedding venue in Cornwall? Cornwall is such a beautiful place and there are many amazing venues here that are all different. We recommend that you take your time and visit different venues. Once you get a feeling for a place you will know what is right for you.